Not sure if I'll time to flesh this out for the contest, but I still thought I should throw something out there. 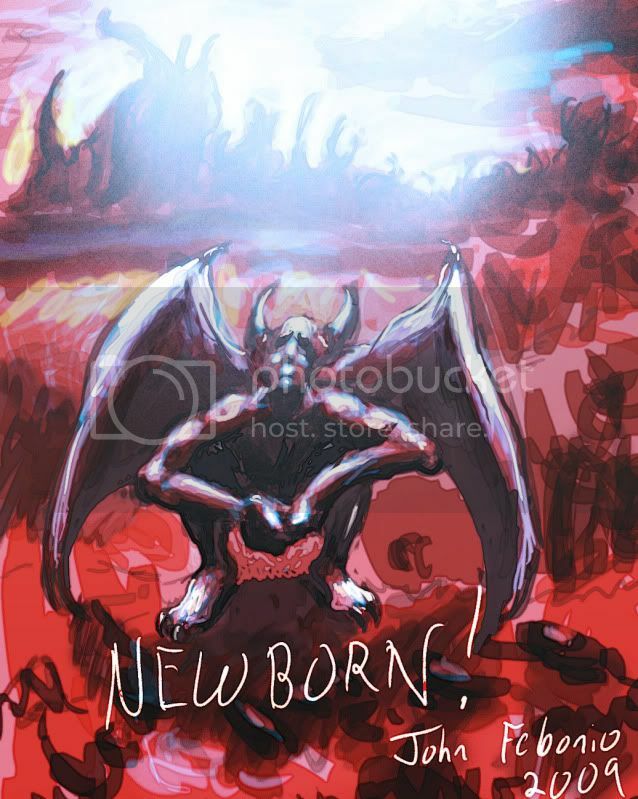 Without the text, there's nothing about this that would suggest it has to do with the theme Newborn, or that it's the devil's first day on the job. 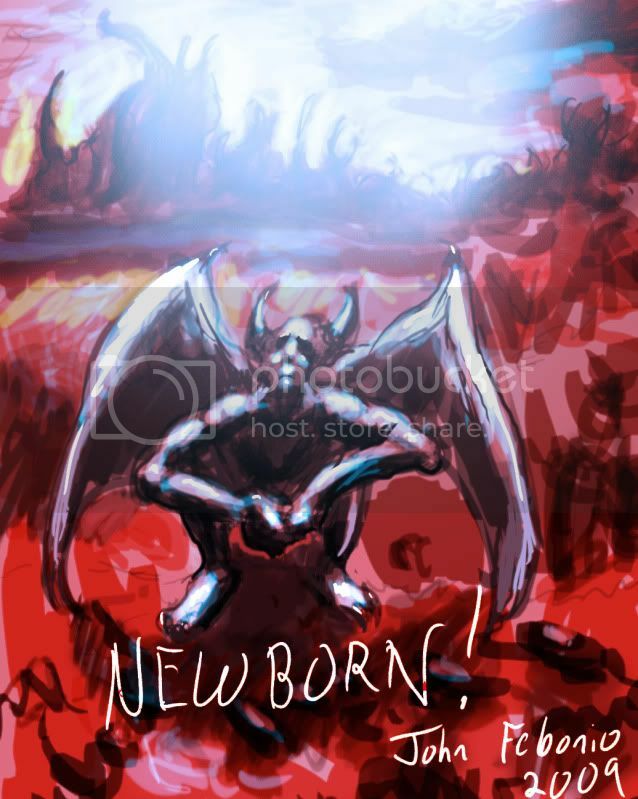 The white light from above and the sad, and perhaps regretful, look on the devils face is meant to show that he has just been basically sent here and finding out what his new role is. Maybe a bit to abstract a concept for this topic, but it's what I thought of right away and decided to just knock out a little rough.